Taipei-Washington relations are at their peak in three decades. As they strengthen their economic ties, Taiwan’s President simultaneously thanks the U.S. for its support in Taiwan’s bid for increased participation in the UN. ROC President Ma Ying-jeou said on 20 September 2012, that the appointment of Christopher J. Marut as director of the American Institute in Taiwan’s Taipei office emphasizes the importance Washington places on bilateral ties. Ma made the remarks while receiving Marut at the Presidential Office in Taipei City. Marut, a 27-year U.S. foreign service veteran, most recently served as director of the Office of Australia, New Zealand and Pacific Island Affairs in the U.S. State Department’s Bureau of East Asian and Pacific Affairs. Arriving in Taiwan in the 1970s, Marut studied Chinese and worked at the AIT’s Taipei Office in the late 1980s. He and his Hong Kong wife have two Taiwan-born children. According to Ma, Taipei-Washington ties are at their highest level in 30 years, with mutual trust restored between both sides. He credits this to the government’s “low profile, no surprise” approach to bilateral exchanges. Evidence of this positive state of affairs includes expanded exchanges in areas such as economic and security cooperation, as well as combating drug and human trafficking, Ma said. The president also expressed hope of further bolstering economic ties with the U.S., Taiwan’s third largest trading partner. Last year, two-way trade reached US$67 billion, up from US$56.8 billion in 2010. Ma said this goal can be achieved by resuming talks under the Taiwan-U.S. Trade and Investment Framework Agreement, which along with trade pact negotiations such as the Agreement between Singapore and the Separate Customs Territory of Taiwan, Penghu, Kinmen and Matsu on Economic Partnership (ASTEP), will pave way for the nation to participate in the Trans-Pacific Partnership. 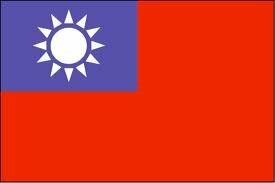 On Taiwan’s bid for greater participation in international organizations, Ma said he appreciates U.S. support and is looking forward to making headway in U.N. specialized agencies such as the Framework Convention on Climate Change, International Atomic Energy Agency, International Civil Aviation Organization and World Health Organization.